Q: Mr. Pedometer, I have a dear friend whose “social drinking” has gotten out of control. Any tips on friendly advice I might offer? “Drinking too much alcohol increases people’s risk of injuries, violence, drowning, liver disease, and some types of cancer. This April, during Alcohol Awareness Month, NCADD encourages you to educate yourself and your loved ones about the dangers of drinking too much. “Limit your drinking to no more than 1 drink a day for women or 2 drinks a day for men. “Keep track of how much you drink. “Choose a day each week when you will not drink. “Don’t drink when you are upset. “Limit the amount of alcohol you keep at home. “Avoid places where people drink a lot. “Make a list of reasons not to drink. One of the ways you might help your friend is to copy the above list to share. If health concerns don’t seem to convince your friend to limit alcoholic beverages, perhaps you could remind him/her that reducing drinking alcohol is a great way to lose weight…and save money! If your friend is unable to stop drinking on his own, below are some things that can help you to help your friend. Utilize the resources we have provided including, Learn About Alcohol, Learn About Drugs and Family Education. Talk to the person about your concerns, and offer your help and support, including your willingness to go with them to get help. Like other chronic diseases, the earlier addiction is treated, the better. Don’t wait for your loved one to “hit bottom.” You may be met with excuses, denial or anger, but be prepared to respond with specific examples of behavior that has you worried. No doubt, you have heard it before — promises to cut down, to stop, but it doesn’t work. Treatment, support, and new coping skills are needed to overcome addiction to alcohol and drugs. Once your friend or family member is receiving treatment, or going to meetings, remain involved. While maintaining your own commitment to getting help for yourself, continue to support their participation in ongoing care, meetings and recovery support groups. Continue to show that you are concerned about their successful long-term recovery. Don’t Preach: Don’t lecture, threaten, bribe, preach or moralize. Don’t Be a Martyr: Avoid emotional appeals that may only increase feelings of guilt and the compulsion to drink or use other drugs. Don’t Cover Up, lie or make excuses for them and their behavior. Don’t Assume Their Responsibilities: Taking over their responsibilities protects them from the consequences of their behavior. Don’t Argue When Using: Arguing with the person when they are using alcohol or drugs is not helpful; at that point they can’t have a rational conversation. Don’t Feel Guilty or responsible for their behavior, it’s not your fault. Don’t Join Them: Don’t try to keep up with them by drinking or using yourself. Helping a friend with an addiction is very difficult but you may be the only help they get. Educate yourself and reach out for help from professionals. You could be saving your friends life and the lives of others. How much sugar should we consume in a day? Q: Mr. Pedometer, How much sugar should a healthy person eat (or drink) in a day? 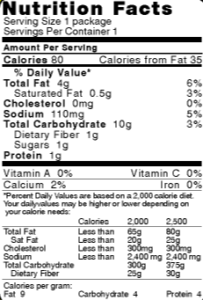 The nutritional labels on foods generally tell not only the quantity of each nutrient, but also the percentage of the recommended daily amount. The exception is sugar. The label tells how many grams, but not how much that is toward a daily amount. A: Your question spotlights one of the biggest problems in Americans’ eating habits. The World Health Organization (WHO) recommends that most people should consume no more than 6 teaspoons (25 grams) of “free sugars” (any kind of sugar added into a food or beverage product) per day. However, that amount is found in just one cup of apple juice or a small fruit yogurt! That has alarming consequences for health in this nation, since excess sugar can lead to both obesity and Type 2 diabetes. Some researchers believe that sugar can be “chemically addictive,” with many of the problems associated with other types of addiction. Reading nutritional labeling on food is a good practice. What can make it confusing, when reading ingredients, is that terms such as “corn syrup” and “fruit juice concentrates” may not be obvious as names for sugar additives. The good news is that more and more consumers are choosing healthier foods. Major global food processing manufacturers are being impacted. The article noted that “companies such as Kraft Heinz and Coca-Cola are experiencing continued decline in sales. Coca-Cola’s soft drink sales reached a 31-year low in 2017.” Perhaps this will persuade those large companies to reduce sugar additives? Meanwhile, consuming fewer processed foods seems to be the healthiest option. EAT RIGHT, MOVE MORE, AND SLEEP WELL, FOR A HEALTHY, LONGER LIFE! Q: Mr. Pedometer, you have encouraged us to stay well, but shouldn’t we also be building healthy communities where we live as well? “Happy National Public Health Week! “By now, the research is crystal clear: People’s health, longevity and well-being are connected to their communities — the places we live, learn, work, worship, and play. Whether it’s healthy housing, clean drinking water, or safe places for kids to play, many opportunities to improve health happen far outside the doctor’s office. In fact, some of the greatest opportunities to create the healthiest nation start with smart policies that prioritize people’s health. In the Tri-Valley area, visionary city leaders have been building a healthy community by provided us with parks, trails, and safe sidewalks that encourage us to get outside and enjoy walking. Take advantages of these benefits, and encourage your friends and family members to do so also. Let’s support a healthy community! 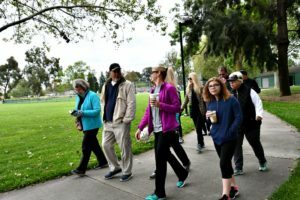 If you would like to join a walking group and start enjoying your community or start your own; see the “Start Your Own Walking Group” section of the World Walk To Wellness Website. Q: Mr. Pedometer, you encourage us to “eat right,” but do you have some suggestions on a Fast Way to Make Food Healthier? Add a cup of water to dilute the sodium. With the addition of other ingredients above, this can become two meals. Reduce the amount of cold-cuts (which may be high in sodium) and add instead cucumbers, sliced peppers, shredded carrots, spinach, or, of course, lettuce. Substitute mashed avocado or hummus for mayonnaise (which “adds calories and fat but little valuable nutrients”). 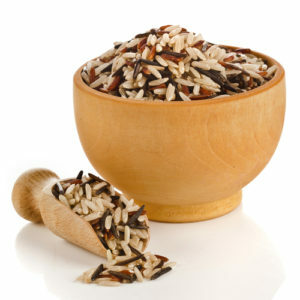 The substitutes add flavor, texture, and nutrients (including fiber and potassium). COLD CEREAL – Okay, who hasn’t used this as a quick meal? “Cereal is a grain, so to make it a complete meal, add protein and fruits or veggies,” Wright says. Why is “Sleep Well,” such an elusive goal? Q: Mr. Pedometer, you encourage us to “sleep well,” but that seems to be a more elusive goal with each year of my age. Any suggestions? 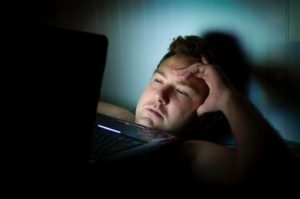 – The blue light that our electronic devices emit “suppresses melatonin, a sleep-inducing hormone.” Turning off these devices – including TV – one to four hours before bedtime can help, according to Karl Doghramji, MD, director of Jefferson Sleep Disorders Center in Philadelphia. If you cannot do without bedtime TV, he suggests wearing a pair of glasses that block the blue rays, which you can find from online retailers. – Okay, so you know that afternoon coffee might interfere with nighttime sleeping, but “people often have no idea that they’re consuming caffeine in other forms, like iced tea or chocolate,” says Beth Ann Malow, MD, director of the sleep disorders division of the Vanderbilt University Medical Center in Nashville. She suggests cutting off all forms of caffeine after lunch. “NAP INSOMNIA” – If you find yourself dozing off – particularly between 2:00-3:00 p.m. – you may not feel sleepy at bedtime, leading to lying awake. Doghramji suggests scheduling something active for when you experience a dip in energy. That can refresh you for the rest of the afternoon and also help you sleep better that night. – This one may seem counter-intuitive, if sipping a glass of wine seems to relax you. 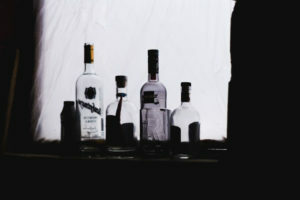 Researchers have noted that although alcohol may make it easier to fall asleep, by the second half of the night, that sleep is “lighter and more fragmented,” leaving a person feeling less refreshed in the morning. Stop drinking alcohol three hours before bedtime and follow the guidelines of the Center for Disease Control and prevention: only one drink for women and only two for men. For the full article, including other tips for getting a good night’s sleep, visit AARP.org/bulletin.